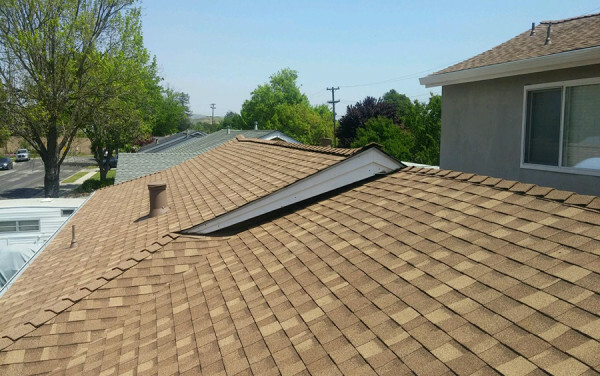 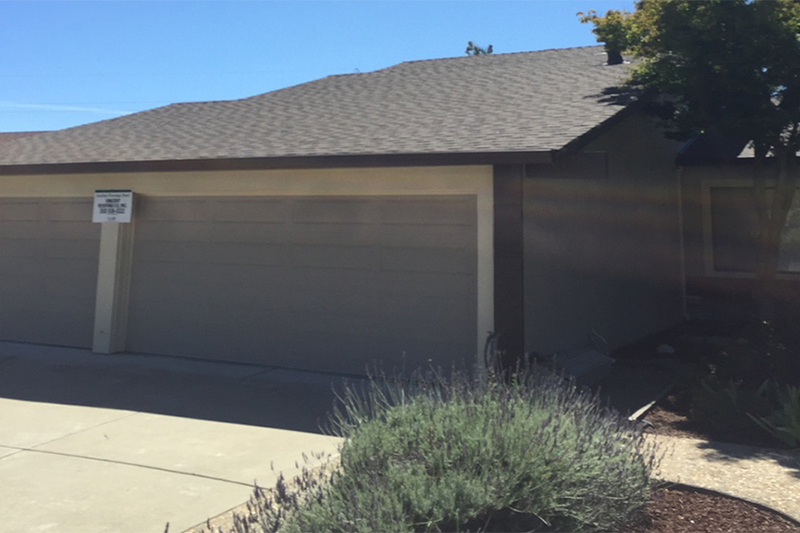 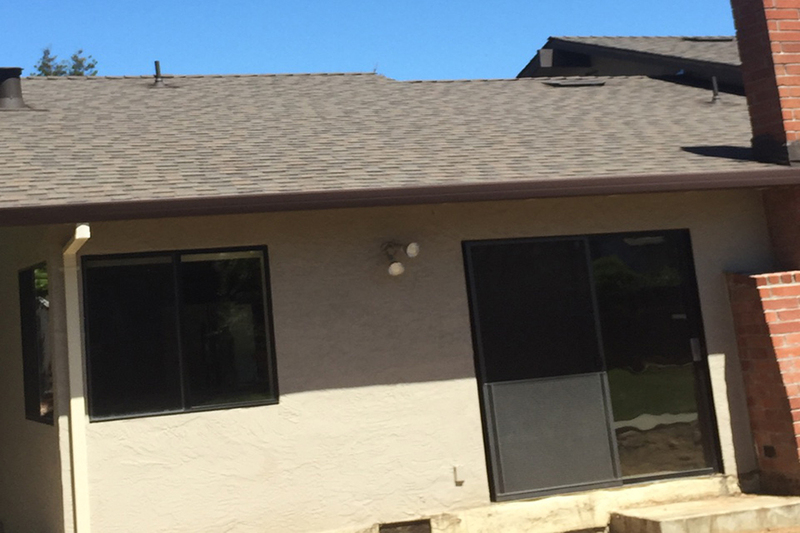 This re-roof included complete replacement of tarpaper underlayment and repair of all the dry rotted areas that this house displayed. 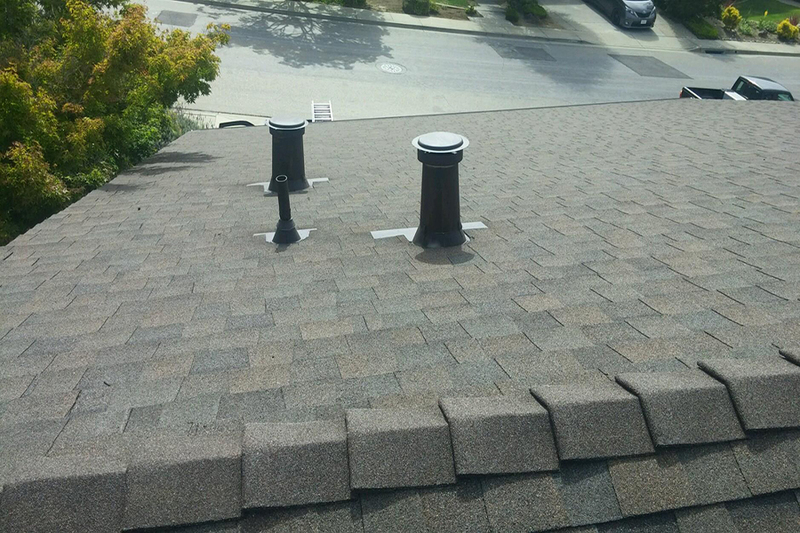 Dry rot most often occurs along the eaves and on the overhangs of a roof. 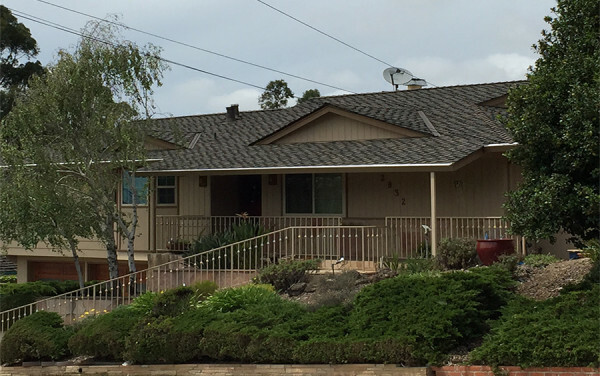 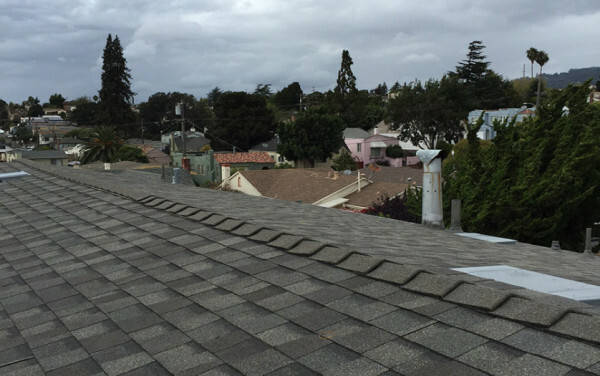 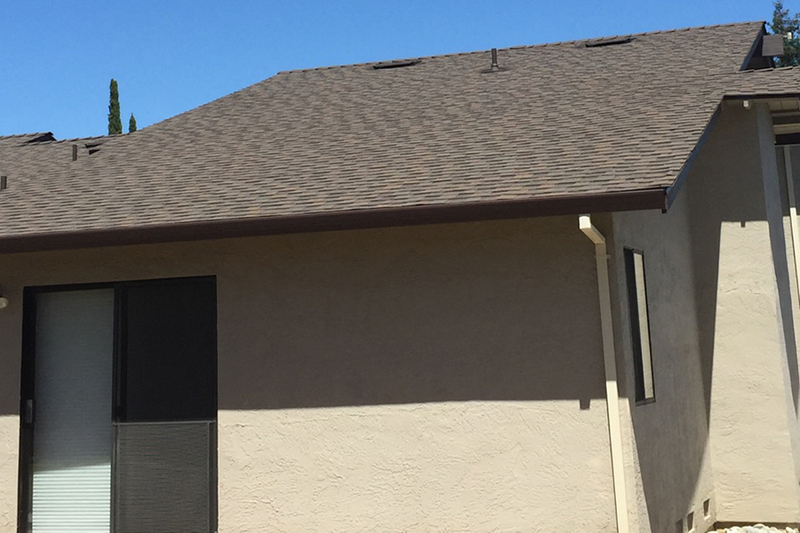 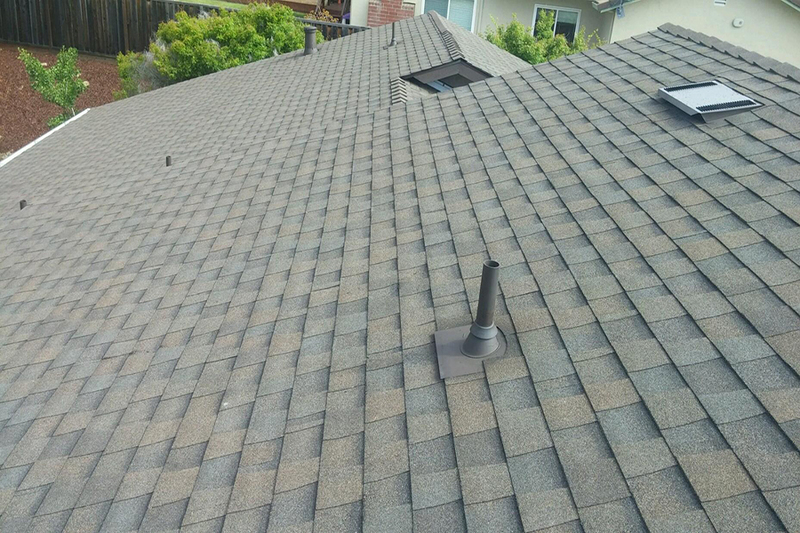 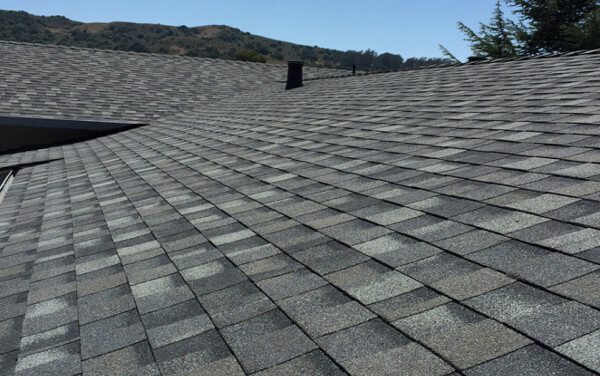 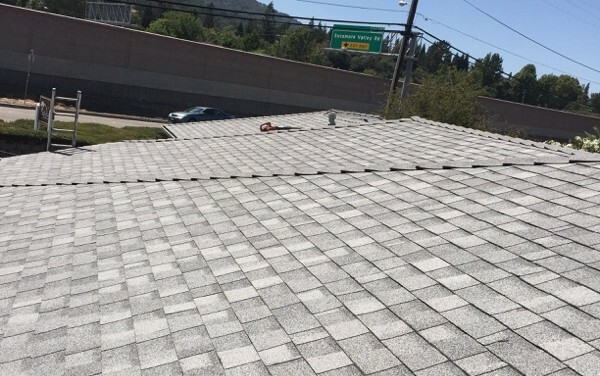 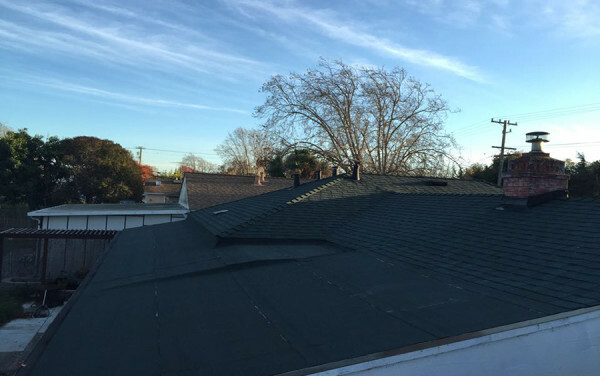 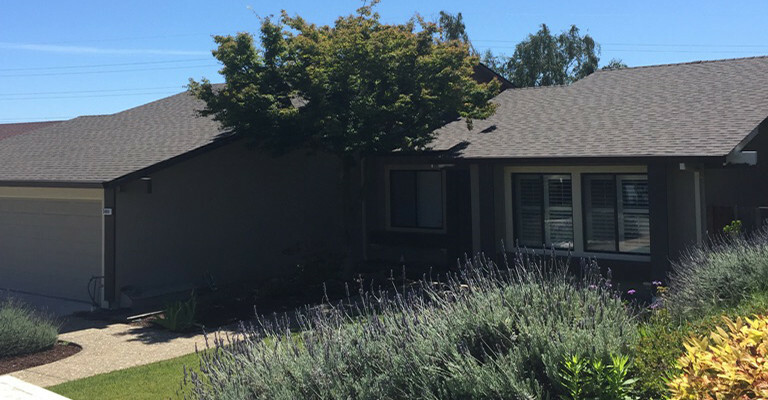 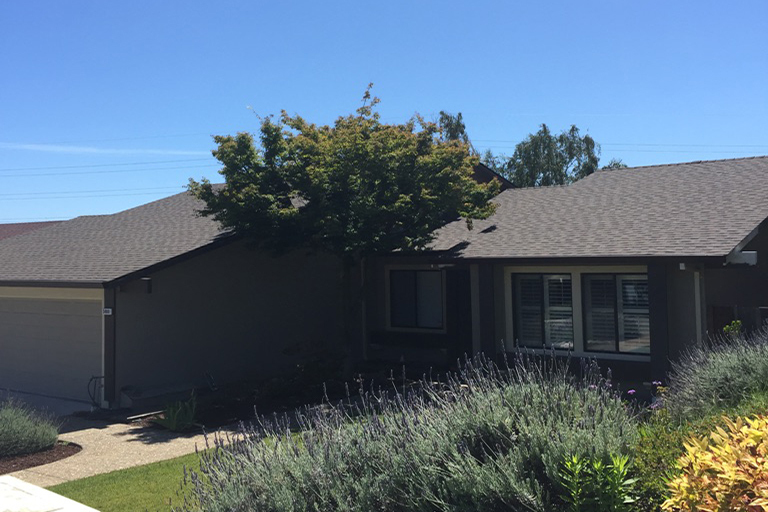 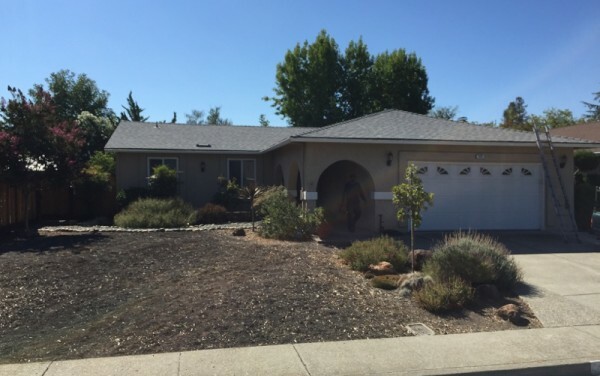 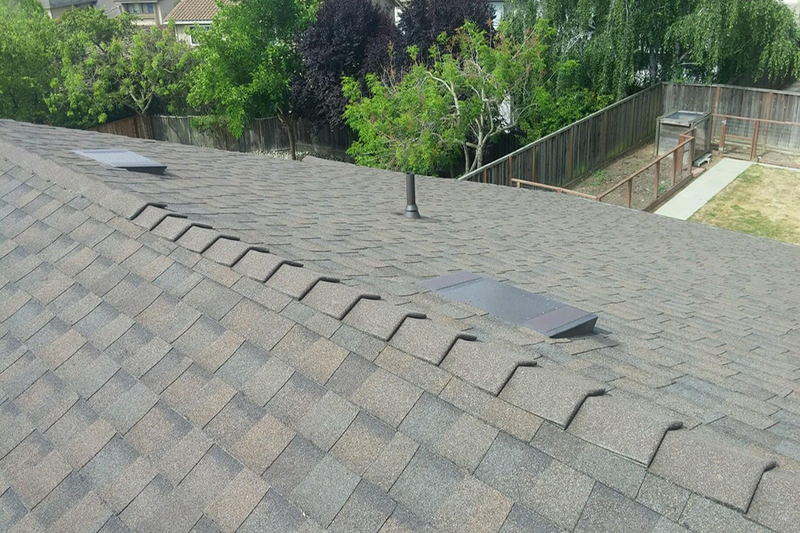 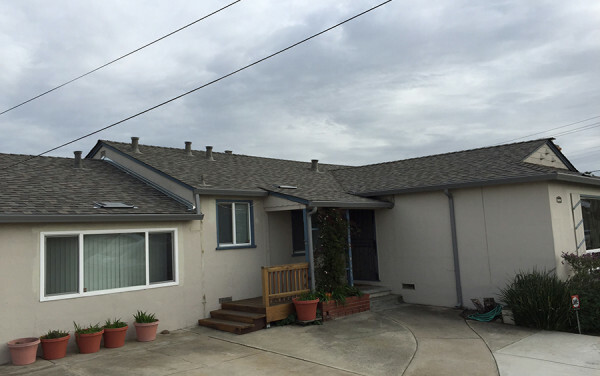 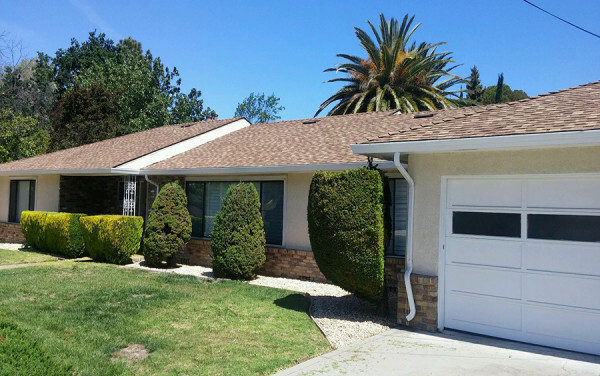 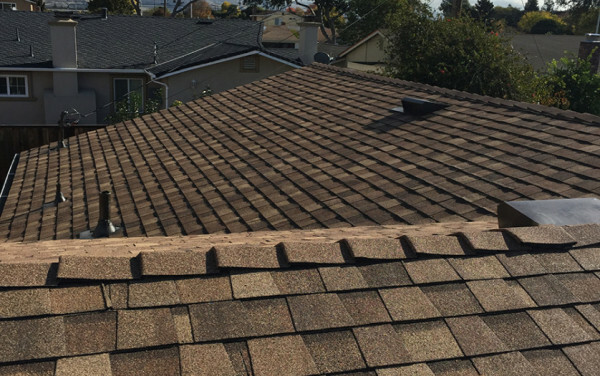 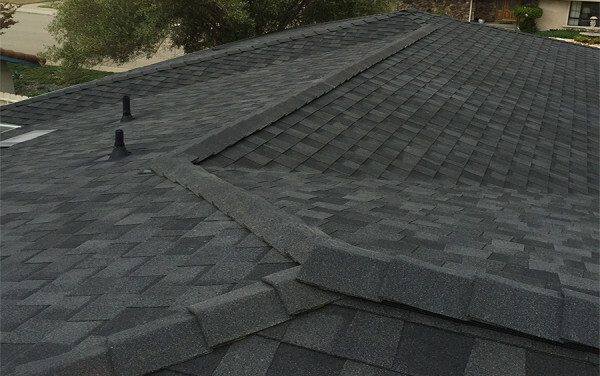 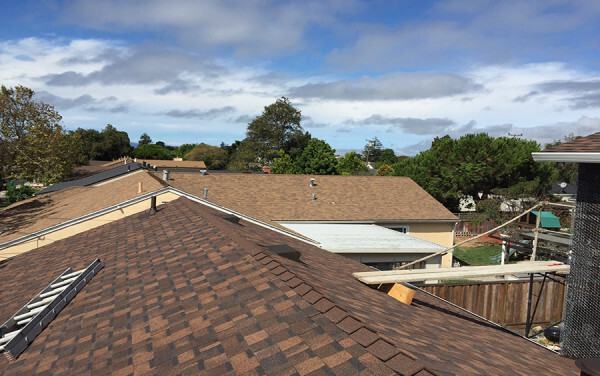 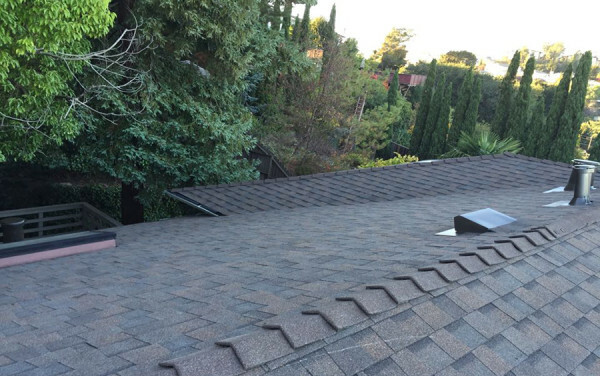 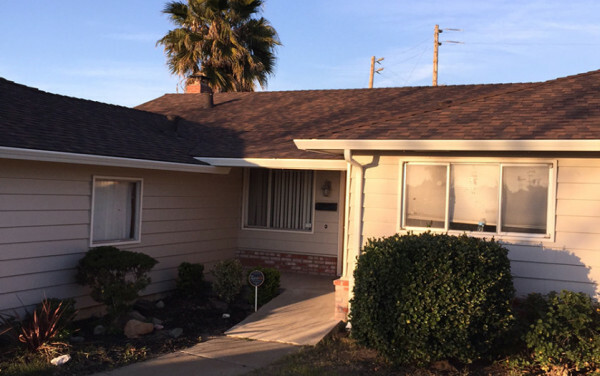 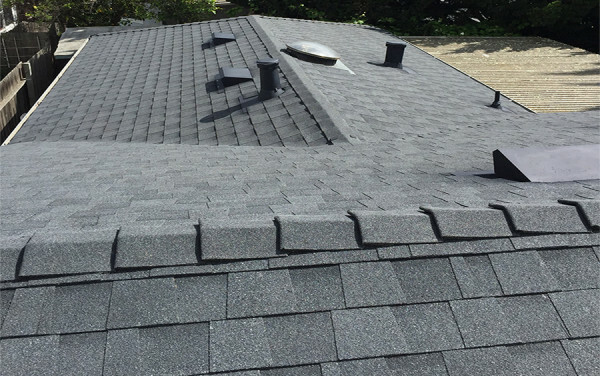 We tore off the old tile roof, installed new 30-lb felt underlayment (to replace the rotting underlayment that was found underneath the tiles), Landmark shingles by CertainTeed (color: Heather Blend), and Rapid Ridge cap shingles on all the ridge. 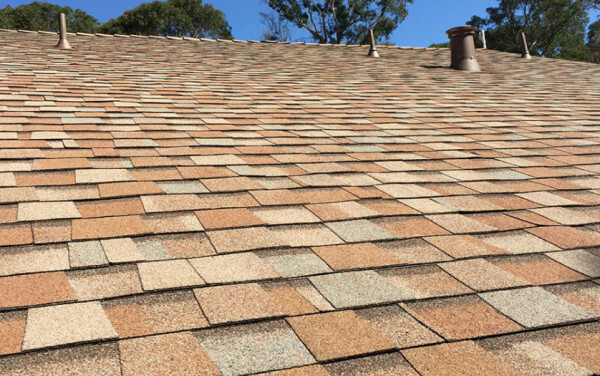 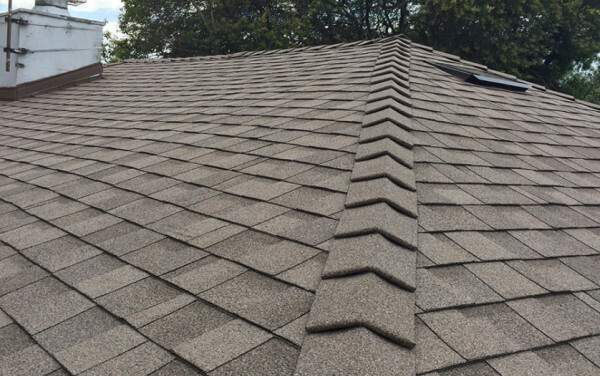 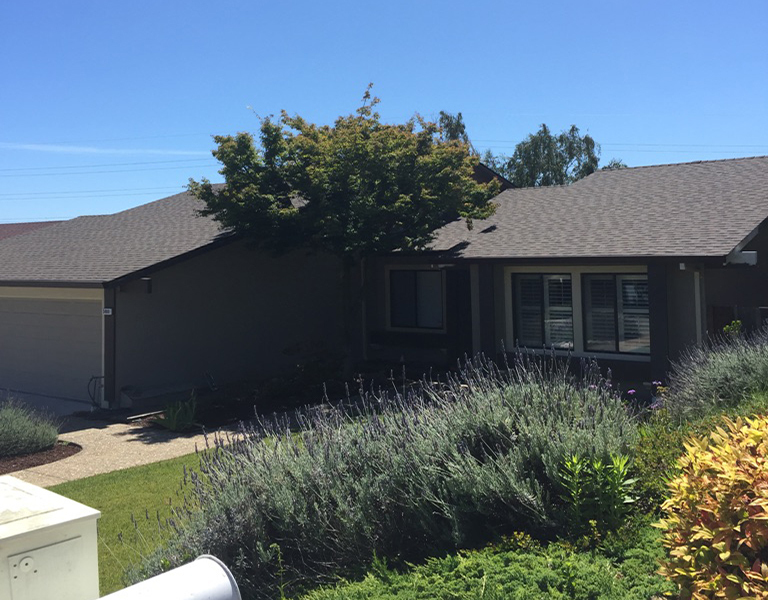 The Heather Blend Landmark shingles represent an interesting combination of grey and brown shades. 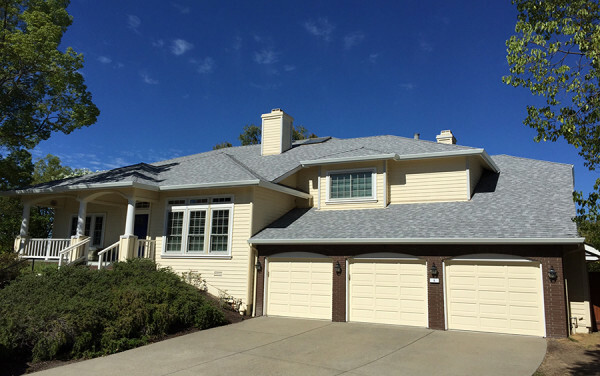 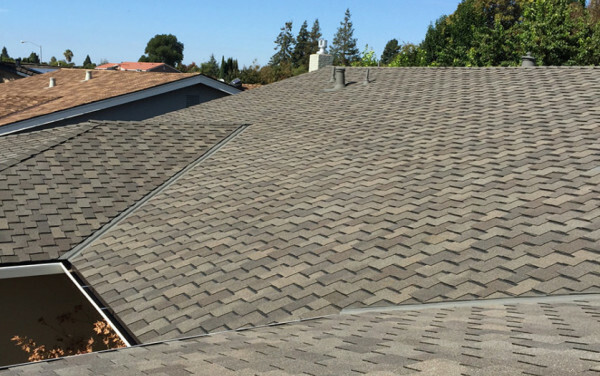 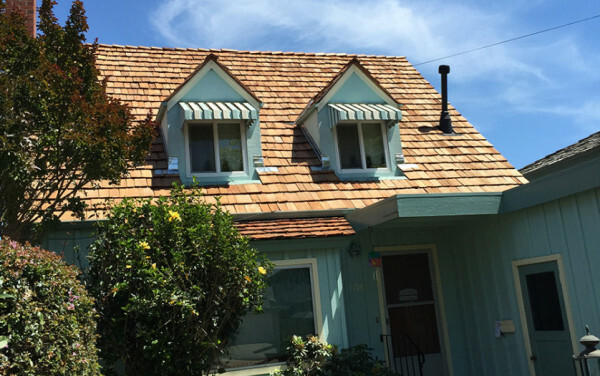 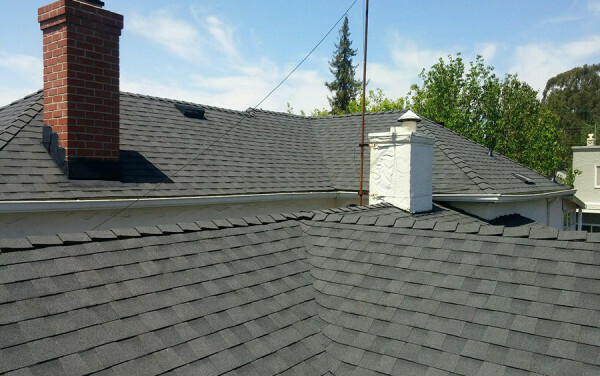 Many different paint colors can be matched to this shingle color. 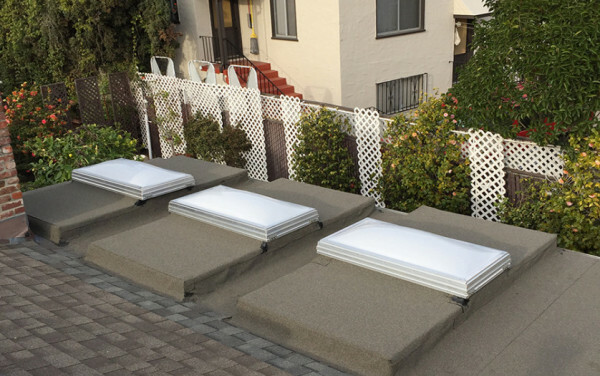 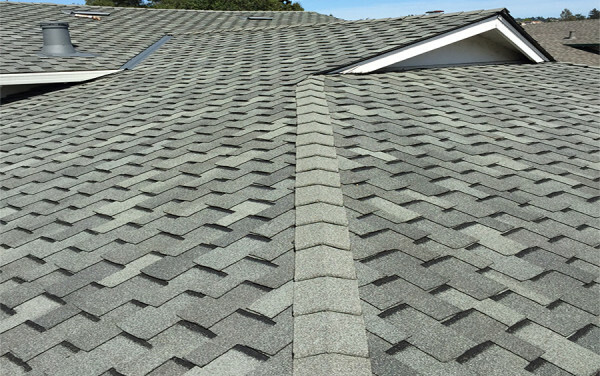 Additionally, this combination of colors can help your roof appear more textured.